Super Savings Item! Free Shipping Included! 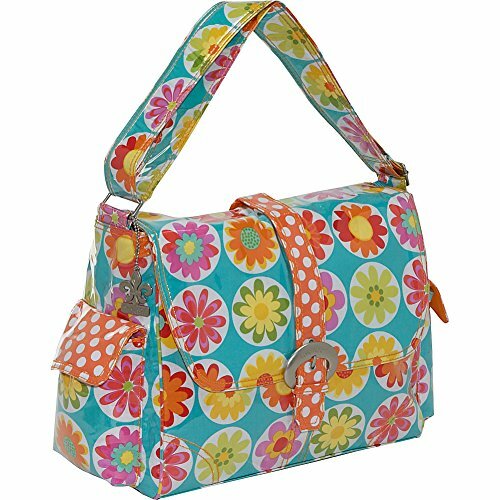 Save 35% on the Kalencom Laminated Buckle Bag, Big Daisy by Kalencom at Time For Everything. MPN: 2960BIGDAISY. Hurry! Limited time offer. Offer valid only while supplies last. A magnetic clip keeps the top flap closed. The laminated outer layer makes clean up a snap. Roomy interior with pockets. Shoulder length straps. A magnetic clip keeps the top flap closed. The laminated outer layer makes clean up a snap. Roomy interior with pockets. Shoulder length straps. Attached stroller straps. 2 outside pockets. Matching insulated bottle bag. Coordinating zippered pouch. Large fold-out padded changing pad. Kalencom diaper bags are AZO free. We use no Phthalates/DEHP, DBP, or BOP in our PVC.